Good news for Samsung Galaxy Note 8 user. Some days ago Samsung officially sent latest android oreo update on Galaxy Note 8, and now Galaxy Note 8 get the upcoming security patch. Samsung officially releases April Security Patch for Galaxy Note 8 which one is available for manually update. Something more amazing than getting the next month’s security patch. This update works on Galaxy Note 8 Snapdragon variants device. So today we share N950USQU3CRC5 April Security Patch For Galaxy Note 8. This update based on Android 8.0 OREO with the latest Experience 9.0. Experience 9.0 Oreo update now available with latest build N950USQU3CRC5 for Galaxy Note 8. Many users want to install the newest Security update on Note 8, so we share the manual steps to install April Security Patch with OREO on Galaxy Note 8. This N950USQU3CRC5 April Security Patch update is available for Galaxy Note 8 N950U AT&T, Verizon, and Sprint, variants users. 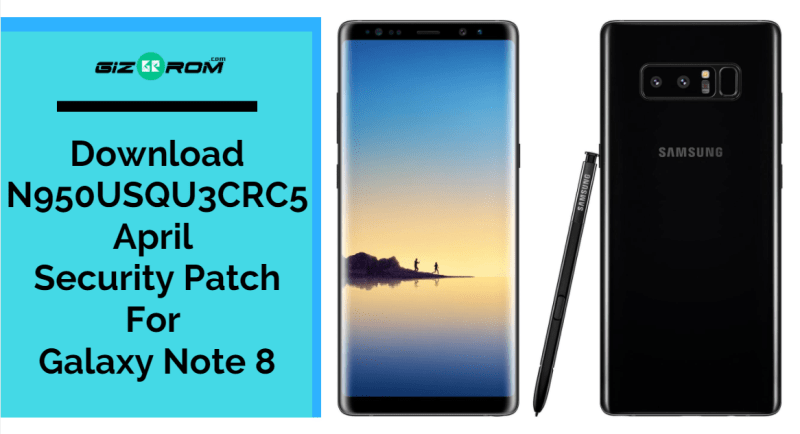 Download N950USQU3CRC5 April Security Patch For Galaxy Note 8. This update was rolling out by OTA update on Note 8. This build includes April security patch and typical array features, such as Notification Channel, picture-in-picture Mode, Notification snoozing, Background Application Optimization and more. If you do not get this latest security update, then you can update to install via this OTA file. Check your device must be running on the previous build CRC2 to install and update the latest N950USQU3CRC5 April Security Patch. This OTA file flashable with Samsung stock recovery. So let’s follow the instructions to download and Install 950USQU3CRC5 April Security Patch For Galaxy Note 8. Check your phone’s model number to see if its N950U. Make sure your device must be charged 60-70% for flashing. Download 2 OTA files CRC2 to CRC4 and CRC4 to CRC5 from below. We share the direct download link of N950USQU3CRC5 Oreo firmware for Galaxy Note 8. This firmware only for Galaxy Note 8 Snapdragon version device. You can install it via Samsung recovery or ADB command. Download latest Galaxy Note 8 Oreo ROM with latest security patch from below. Download 2 OTA files ” CRC2 to CRC4 “ and ” CRC4 to CRC5 ” copy it to external memory. Turn off your phone and enter Recovery Mode by press and holding volume down + power + Bixby button at the same time. Now select “apply update from SD card” by using volume button and power to select. Then navigate to the CRC2 to CRC4.zip file, which you downloaded before. Select and apply, once done your device automatic reboot system. After bootup, your device again follows the previous steps and boot into Recovery mode. Then navigate to the CRC4 to CRC5.zip file. After the process ” reboot ” your device and enjoy. If you don’t have an SD card, then need to flash via ADB mode. 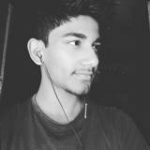 Follow the guide to install_N950USQU3CRC5 for Galaxy Note 8 via ABD command. First, install CRC2 to CRC4 then CRC4 to CRC5 one by one.